Western Ojibwa (also known as Nakaw?mowin, Saulteaux, and Plains Ojibwa) is a dialect of the Ojibwa language that is spoken by the Saulteaux, a sub-Nation of the Ojibwa people, in southern Manitoba and southern Saskatchewan, Canada, westward from Lake Winnipeg. Chippewa is an alternate spelling of the Ojibwe tribe of North America, residing both in United States and Canada, who predominantly reside in the northern central United States with the largest population living in Minnesota. Much diversity exists among Ojibwe communities in both Canada and the United States. As a result, much diversity exists among the Ojibwe people, all contributed from geographical and local cultural environments. Much language diversity exists among the Ojibwe people in terms of language. There are communities where only Ojibwe is spoken and others where English is only spoken and understood. 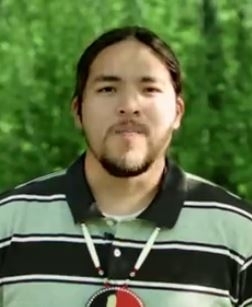 To watch an informative video and learn about the Ojibwe people, click here. Ojibwe people adhere to Roman Catholicism and traditional religious beliefs. Some also are evangelical Christians. Traditional spiritual beliefs are passed down by oral tradition, including a creation story and a recounting of the origins of ceremonies and rituals. Ojibwe spirits guide them through life. Birch bark scrolls and petroforms are used to pass along knowledge and information, as well as for ceremonies. Pictographs are also used for ceremonies. Watch the following video to learn about the 7 traditional religious teachings of the Ojibwe people. Pray for the gospel to continue to spread among the Chippewa. Pray for God to raise up Christian leaders from within the Chippewa community to work in the harvest. Pray for Christians in the Chippewa community to start new churches and ministries.